Eli Manning and Odell Beckham Jr. Have the Time of Their Lives. The NFL will premiere its new TV commercial starring Eli Manning and Odell Beckham Jr. in the third quarter of Super Bowl LII on Sunday, February 4. 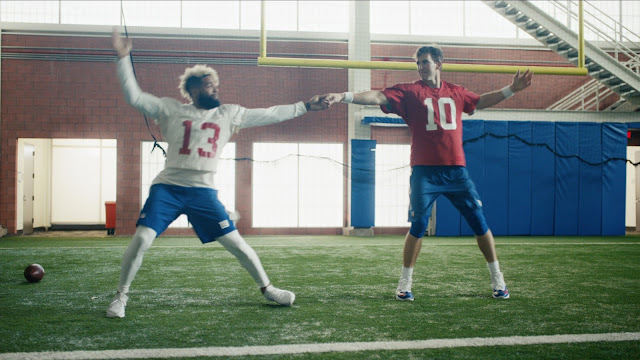 While the world is focused on two teams in the big game, the spot sheds light on what the other 30 teams are up to by providing an inside look at one team: the New York Giants. The commercial is set in the Giants practice facility where Manning and Beckham Jr. are practicing passing routes. 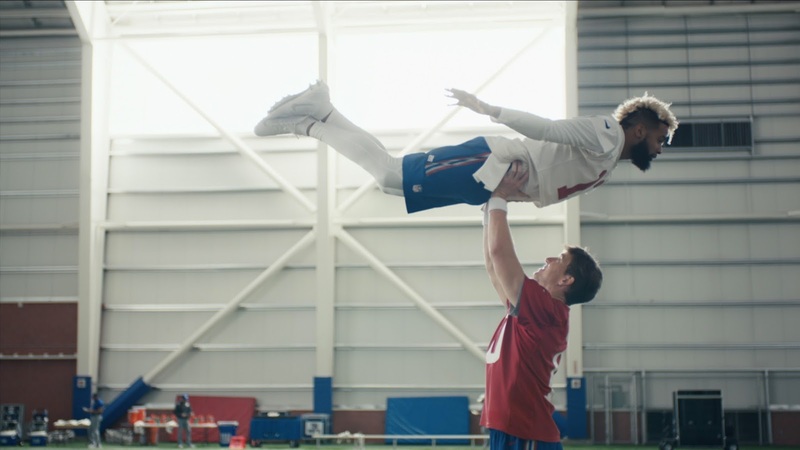 They ultimately celebrate a touchdown by recreating the iconic dance scene from the 1987 hit movie “Dirty Dancing,” which starred Patrick Swayze and Jennifer Grey, to the theme song “(I've Had) the Time of My Life” sung by Bill Medley and Jennifer Warnes. Choreographed by Stephanie Klemons from the Tony Award-winning musical, “Hamilton,” the touchdown celebration culminates with Beckham sprinting toward Manning in slow motion as Beckham soars into the air for the perfect cinematic catch, mirroring the movie’s climactic scene. The spot ends with the tagline: “To all the touchdowns to come,” acknowledging the fun and personality that players have not only brought to their celebrations this year, but also for seasons to come.